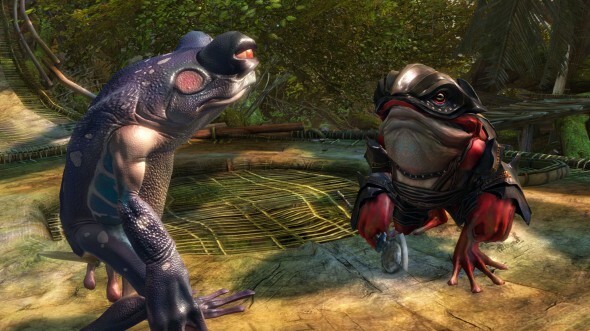 The jungle in Guild Wars 2: Heart of Thorns™ has Mordrem aplenty, but it’s also filled with strange and exotic natural creatures—including the Itzel and the Nuhoch, two brand-new hylek tribes. The Maguuma Jungle’s lush but dangerous environment has shaped and influenced these physically unique tribes to develop their distinct weaponry, community, and spirituality. 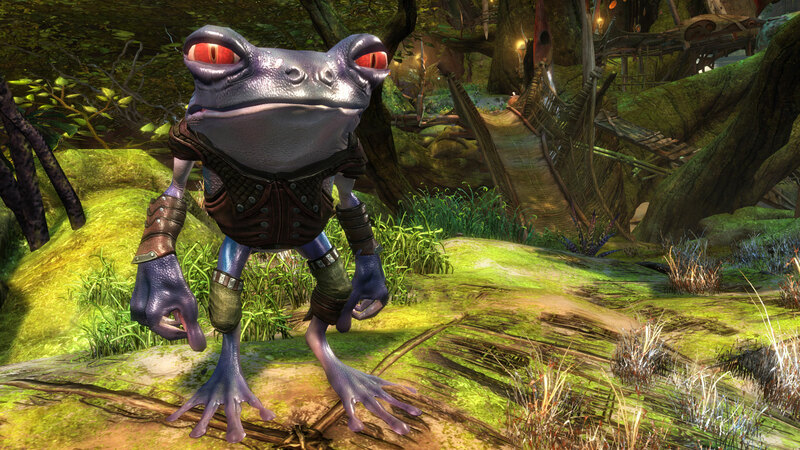 Itzel hylek are physically similar to tree frogs—lean and lanky, with long limbs and large eyes. Sporting a variety of vivid, iridescent colors, they spend most of their lives in and among the trees, building extensive settlements and compounds in the branches of the Maguuma forests, connecting individual structures into a cohesive community via networks of rope bridges and walkways, and hunting from concealment among the upper reaches of the canopy. They love music and are adept at making and playing a wide variety of musical instruments carved from the natural materials around them. The Itzel believe in taking life as it comes—an attitude best expressed in their spirituality. They revere a nonanthropomorphized (or, in this case, nonfrogropomorphized) nature goddess called Ameyalli. Analogous to Gaia or Mother Earth, Ameyalli is both the spirit and substance of the jungle itself. The Itzel believe that everything in the natural world is there for a purpose, provided by Ameyalli to make life possible and rewarding. In their world, nothing is truly bad or evil; the only harmful things are those the Itzel haven’t figured out how to use yet. This is reflected in the Itzel mantra “The jungle provides,” which they recite as affirmation, coda, greeting, and farewell. Buoyed by the love and support of their jungle home, the Itzel tend to look at the bright side of things; if a windstorm blows down the trees supporting their village, they see a renewed supply of building material and firewood. They also pride themselves on their hospitality; when an unexpected guest appears, they treat it as a chance to learn something new or help someone in need and credit Ameyalli with providing the opportunity. 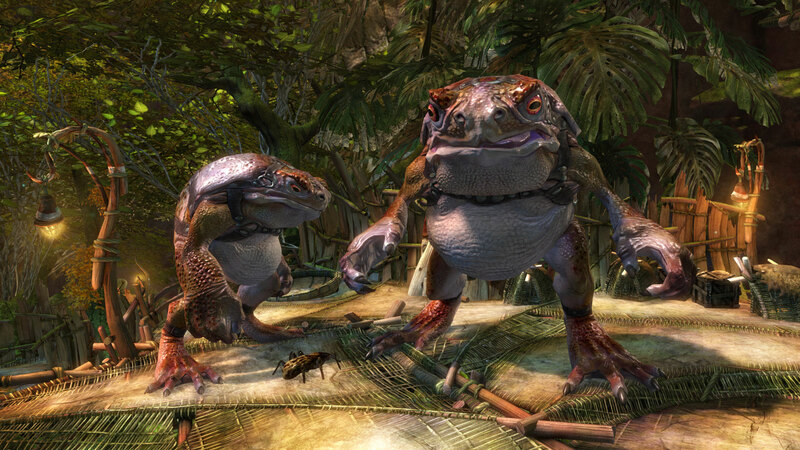 Nuhoch bullfrog hylek could not be more distinct from their Itzel cousins. Huge, heavy, and powerfully built, Nuhoch make up for their lack of speed and agility with prodigious strength and unparalleled stamina. Where the Itzel are cheerful and optimistic, the Nuhoch are dour and tend to expect the worst. Itzel sing lighthearted songs about the joys of jungle life; Nuhoch sing somber elegies about the long, strange path they’ve taken, those they’ve lost, and the trials they’ve endured along the way. This severe attitude is a result of the trials the Nuhoch endured in establishing themselves in the jungle. After migrating from more traditional hylek grounds in search of a home that could support them, the Nuhoch struggled in the jungle simply to survive, falling prey to unfamiliar terrain and unrecognized threats. It was the Itzel’s openness and hospitality that kept the bullfrogs alive long enough to become permanent residents—after aiding an endangered Itzel scout, the Nuhoch refugees were warmly welcomed by the tree frogs and taught how to make the most of Ameyalli’s gifts. With the Itzel’s support, the Nuhoch began to thrive; with the Nuhoch backing them, the Itzel had less to fear from the jungle’s many predators. This partnership quickly evolved into a permanent alliance whereby both tribes support each other, creating a shared hylek culture that is far stronger than its individual elements. There is sometimes friction between the two tribes, but as a rule, the Itzel and Nuhoch consider themselves part of the same extended family and will always rush to support one another. The Nuhoch also adopted the Itzel’s reverence for the jungle and Ameyalli, though they are far more likely to see adversity as something to be overcome rather than as a blessing in disguise. This often expresses itself in friendly exchanges of playful insults: the Itzel tease the Nuhoch as gloomy and incapable of joy; the Nuhoch, in turn, tease the Itzel as frivolous and incapable of getting things done. In combat, Itzel use their slender frames and extreme flexibility to traverse the jungle foliage, and they rely on agility and stealth rather than brute strength. Itzel never shrink from a fight, but they employ ambush tactics and hit-and-run strategies to keep their opponents on the ropes while keeping themselves well out of harm’s way. They favor bows, daggers, and other light weapons, which they employ to devastating effect without allowing the enemy a chance to hit back. All hylek have an affinity for alchemy, but the Itzel are especially adept at brewing toxic potions using ingredients harvested from local plants, insects, and their own bodies. 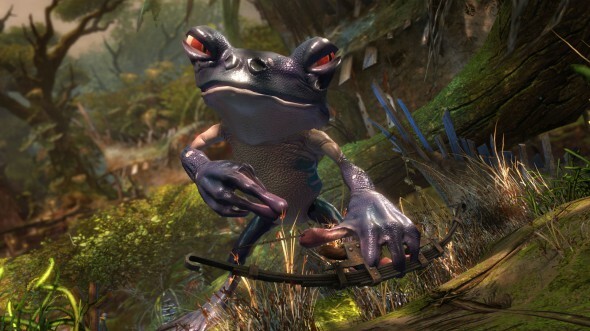 When an Itzel archer fires a volley of arrows, you’ll see that archer pop each arrow in his or her mouth before nocking it, envenoming the bolt with some of their own naturally occurring tree-frog poison. The Nuhoch have a completely different combat style. Where an Itzel will leap in to attack an enemy and then leap back in the blink of an eye, a Nuhoch will leap high into the air and come down belly-first on their foes, squashing them into the jungle floor before picking themselves back up to continue the fight. They wield huge war hammers and can knock an entire platoon of adversaries off their feet with one wide swipe of their powerful tongues. The Nuhoch also excel at alchemy, but they are more generalists than specialists. Itzel are geniuses with poisons, but Nuhoch have mastered a broader spectrum of elixirs and potions to employ. Relatively new to the jungle, Nuhoch alchemists have fully devoted themselves to the study of local flora and have discovered entirely new ways to put the gifts Ameyalli provides to good use. Itzel and Nuhoch alike believe that everything in the jungle is there to make life better, even if a thing’s purpose is not yet understood. The exception to this rule is Mordremoth—to the Maguuma hylek, the jungle dragon is a completely unnatural invader, a predatory fiend that consumes and negates the bounty provided by their benevolent goddess and gives nothing in return. 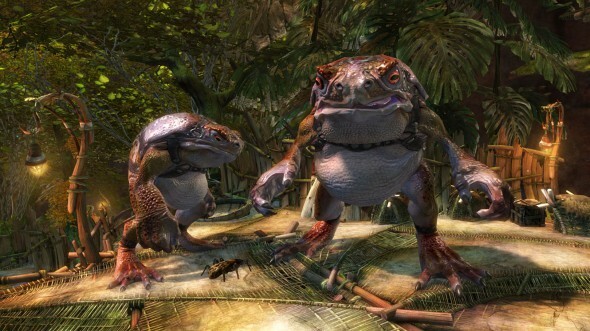 They recognize Mordrem as twisted mockeries of natural creatures, and through bitter experience they’ve learned that they cannot let any hylek, living or dead, be carried off by the jungle dragon’s minions. To cope with this, Itzel and Nuhoch both have taken to immediately burning their dead as soon as possible. Another foe that is shaking the Maguuma hyleks’ faith are the Zintl fanatics. These traditional hylek have come to Maguuma to forcibly convert the Itzel and Nuhoch back to worshipping their sun god, Zintl. Led by charismatic demagogues and mounted* on giant beetles, the Zintl fanatics have begun a brutal campaign of terror and manipulation to force the Itzel and the Nuhoch into recanting their faith in Ameyalli in favor of Zintl. There’s a lot more hylek culture to explore in Heart of Thorns, so limber up and start practicing your jumping skills—you’ll need every ounce of leg strength just to keep up. And if you can’t at first, don’t worry—Ameyalli will make sure you have what you need. As the Itzel and Nuhoch will tell you, the jungle always provides. 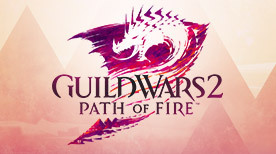 If you’re interested in discussing this topic and others with fans, join the Heart of Thorns forum. 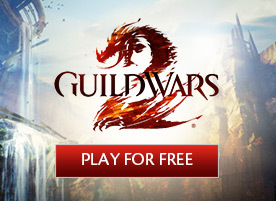 * Zintl fanatics and their beetles do not use a proper mount system but instead share animations and a single health pool.